Welcome to the Western Australia Police Force Customer Service Charter which explains how we will deliver our policing services to you. The WA Police Force is responsible for policing the largest single police jurisdiction in the world, an area covering 2.5 million square kilometres with a structure comprising 3 regions, 14 districts and 162 police stations. Providing clear information about the policing services we provide. Respond and attend to incidents. The service standards were developed through a consultative process involving members of the community, business owners, police officers and police staff. Providing general information about the steps police will take to address your matter or incident. The emergency 000 telephone number is for use when there is a life-threatening or time critical emergency. You will be asked which emergency service is required - Police, St John Ambulance or Fire and Emergency Services Authority. We aim to answer 90% of emergency calls directed to the WA Police Force within 20 seconds. If you need police assistance and it is not an emergency, use the 131 444 telephone number. We aim to answer 85% of non-emergency calls to the Police Assistance Centre within 20 seconds. For both emergency and non-emergency calls, the operator will ask for your name and address and the reason for your call. If it is a situation which requires police to attend, the operator will take details about the situation from you over the telephone. This may take some time but we need to do this to make sure that we respond to your needs in the right way. If it is not a matter that the WA Police Force are able to deal with, we will refer you to the appropriate agency. Local (Police attendance may not be required. Local police station to contact customer for resolution). Within the metropolitan area and major regional centres we aim to attend High priorities within an average of 9 minutes and Immediate priorities within an average of 25 minutes. We aim to attend or call back to arrange resolution of Routine priorities within an average of 60 minutes. We aim to attend your incident at the earliest possible time according to the allocated response priority and the demands for our service within the community at any particular time. 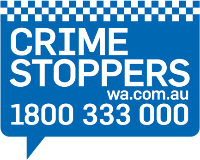 Where the WA Police Force respond to these types of reports, we will aim to keep you informed of the outcome of police action as soon as possible, unless you have advised us that you don't want to be informed. The WA Police Force welcomes constructive feedback on the performance of our officers and staff so that we can improve the service we provide to you. If you have been pleased with the level of service, let us know as it gives us the opportunity to recognise the good work that our staff perform. Contacting Police Conduct Investigation Unit, Locked Bag 6, East Perth Western Australia 6892. We are always keen to improve how we deliver policing services to the community. To enable us to do this we will be monitoring performance against the Service Standards through our own internal recording systems, Customer Contact Surveys and other constructive feedback. Our performance will be reported to government in the WA Police Force Annual Report and on our website.